Take Your Creations to the Next Level with ASUSPrime Z390 series motherboards delivers an extensive range of high-quality features that gives daily users and content creators all the essentials for an exceptional build. 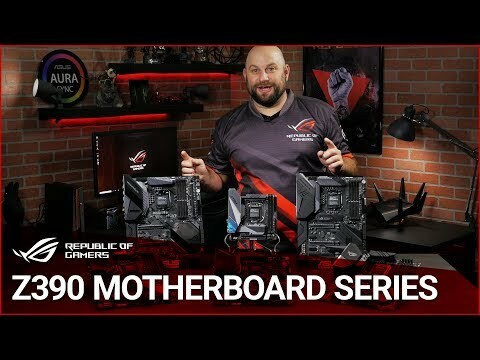 Merging the benefits of the latest processors with dynamic ASUS innovation and engineering, the Prime Z390-P provides an array of options for performance tuning through intuitive software and firmware. With 5050 RGB strips connected to the RGB header, you can create your own stunning multicolour lighting displays with ASUS Lighting Control. Flexible Cooling Controls for Air or Liquid With Prime Z390-P you have comprehensive control over fans via Fan Xpert 4 or the media-acclaimed UEFI. Whether you are cooling with air or water, Auto-Tuning mode intelligently configures all parameters with a single click. Extreme Quiet mode reduces all fan speeds to below the default minimum assuring your system stays whisper-quiet when performing light tasks. Including EZ Mode & Advanced Mode The UEFI BIOS is an early waypoint on any PC-building journey, and Prime Z390-P offers one of the best in the business. Featuring Easy and Advanced Modes for quick and easy access to find the setting you're looking for. Fine-tune individual fans simply by dragging a curve with the mouse using intuitive graphical fan control. Discover useful settings for your setup with ASUS Technology. Supported by Prime z390-P Intel Optane™ is a revolutionary non-volatile memory technology supported by Prime Z390-P. Intel Optane memory modules accelerate attached storage to reduce boot and load times, so everything feels faster and more responsive. Maximum Power & Efficiency Prime Z390-P adjusts power delivery based on the number of power phases, optimizing power and efficiency for the latest Intel processors. Trustworthy Stability and Compatibility Prime Z390-P is designed for builders who want essential ASUS reliability and performance. More CPU cores create power-delivery challenges, so Prime Z390-P has extra power phases and comprehensive cooling features for optimal performance.